On a September morning, the crescent moon makes its way into the predawn sky just before the sun. 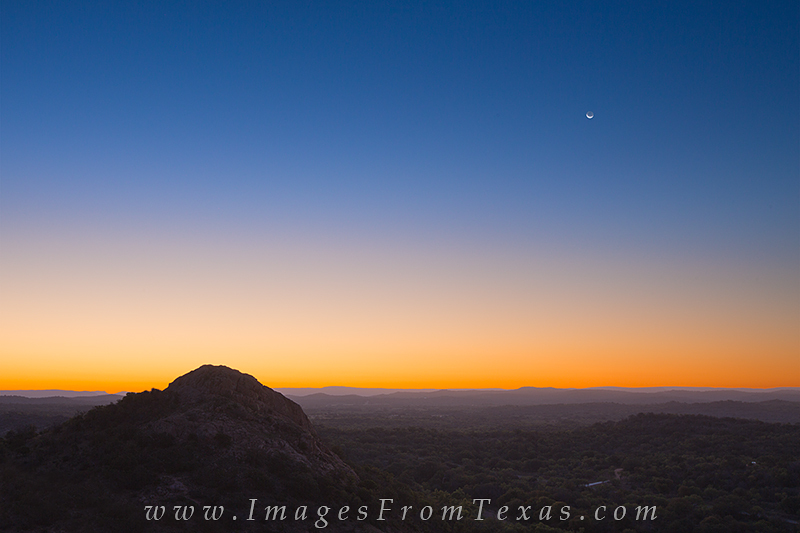 The colors of the sky made me pause, and I ended up shooting this image from the slopes of Enchanted Rock. Photo © copyright by Rob Greebon.